Leading up to this year’s Moog Hackathon, Moog posted an awesome and well produced video of our winning hack from last year – Moog’s Greatest Hits. Check the video out on instagram! You can read more about last year’s winners through this link. 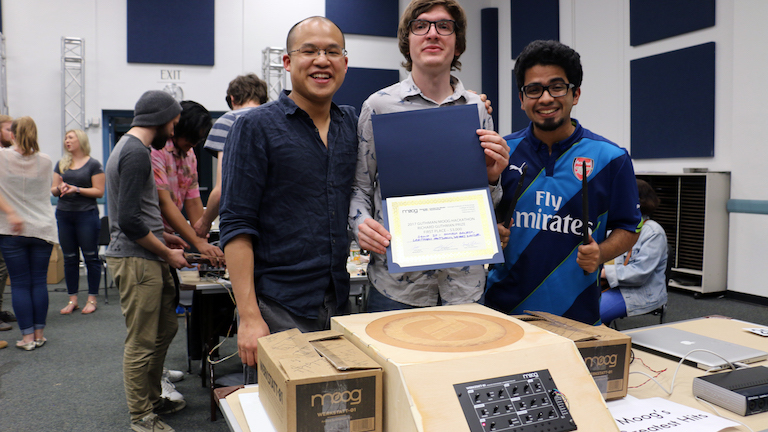 Next Winning the Moog Hackathon…again!